Seventeen days to go. Only thirteen of them are working days. Just thirteen days of full time employment after thirty eight years of working sixty hours a week. For many years they were very stressful working hours. For the last half decade my work has been stress free and immensely enjoyable. Stress free and enjoyable but still work. On 1st April 2015 I will clock off for the last time before eight months of gentle relaxation and exploration along 2,000 miles of muddy ditches. I am looking forward to it very much indeed. We’ve spent much of the last week settling in to our new mooring. It’s far from perfect, but we love it. The rusting, semi-submerged open topped wide beam barge we’re moored against had no nearby electricity supply when Calcutt Boats first agreed that I could moor here. I’ve had to run a cable from the meters used to serve the temporary moorings we have between The bottom and the middle lock, then dig it in along the full ninety five metre length to protect the cable from enthusiastically wielded gardening equipment. There’s still no water supply to the barge, which now that I’ve spent weeks tarting it and the immediate area up, is referred by the office staff as “the mooring barge” rather than “the dump barge” label it’s been stuck with for the last forty years. The nearest water point is 100m away so we’ve had to buy two 50m Hozelock hose reels. Topping up the water tank is a bit of a pain now that we have to roll out a hundred metres of hose rather than ten metres to the nearest tap on our pontoon mooring. Managing our coal and bottled gas supplies and our twice weekly cassette emptying is similarly painful. The closest we can get a car is also a hundred metres away so my monthly ten bag coal purchase will be a bit of a chore. I’ll need some more next week. I’m not looking forward to the exercise. The dump barge, sorry, the mooring barge, is far from perfect either. At thirty six feet long, it’s far too short. At the moment the engine room can only be secured by padlocking it from the outside. Our boat is moored level with the front of the barge so that Sally and I and our two dogs can step off our front deck on to the barge’s flat front. Consequently, we have twenty six feet of boat sticking out into the marina. The only way to reach the engine room is to walk along the gunnel which, since I had the cabin over plated in 2011 is now just two inches wide. Sidling along it on a dry, warm day is bad enough but I’m not looking forward to getting anywhere near the back of the boat during the winter months. Despite the mooring’s weaknesses, it’s a stunning spot. It looked a bit of a mess a couple of months ago but now that we’ve raked out the choking mass of decaying reeds and brambles from the marina bank, trimmed back a couple of waterside willow and removed several truck loads of semi-submerged branches, it’s starting to take shape. I hope to take delivery of fifty oak whips next week. Half a dozen of them are destined for the bank adjacent to the stretch of canal beneath the bottom lock. The mature oak will look wonderful in years to come. They won’t be up to much for the next couple of decades, but I hope that we’ll still both be around to enjoy them. I wondered what I had done with all the time spent tapping away at a keyboard over the last week until I realised that much of it was spent adding four new case studies to the site and updating my own case study which I added three years ago. 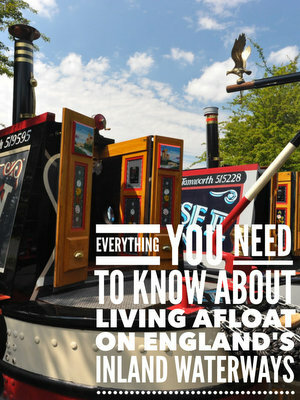 The case study section is a useful resource if you’re considering living afloat. The answers to many common boating problems are here so a few minutes of your valuable time is a worthwhile investment in your boating future. I’ve updated my own case study considerably. I didn’t realise how much the boat has changed until I read my answers from three years ago. The Lady C – After forty years of working in the USA and South Africa, John and Brenda Rogers purchased a narrowboat rather than a much more expensive house then set off to continuously cruise the inland waterways network. Eleftheria – Single boater Stuart Inglis cruises the network extensively and continuously during the warmer months then escapes to a more pleasant climate for damp and dreary winter. It’s a cruising plan which many boaters would like to copy. Mister Smith’s – Darrell, like me, moved on to a narrowboat thinking that his floating home would be a low cost housing option. He was wrong about the cost, but his lifestyle choice was spot on. Mr. David – After decades of international travel during an army career, Brenda and David Scowcroft have settled in one spot. They now live on their narrowboat, Mr. David, in Gas Street Basin in the centre of Birmingham. It wouldn’t be my first choice for an idyllic mooring spot, but they’ve been there for ten years so it must suit them. James No 194 – That’s my own boat. I’ve been living aboard it on a mooring at one of the prettiest marinas in the country for five years now. I answered the case study questions three years ago. At the time, January 2012, I had been living afloat for just under two years. Most of the time I had been living alone but I answered the questions within a month or two of Sally and her two dogs moving in with me. This morning, 15th March 2015, I reviewed and updated the answers to reflect any changes to the boat, my outlook or my future plans. Alan has promised to share the results with you and to use them to add recipes for delicious narrowboat meals to the recipe section of the forum. If you own a narrowboat at some stage you’ll probably want to visit London to see the sights and to tick the capital off your narrowboat to do list. Mooring in and around the capital isn’t easy so you need all the help you can get. Fortunately for all of us, Peter Early has a memory like a Mastermind contestant and a desire you share the contents with you. Here’s his very useful four part London cruising guide. I’ll be running the discovery days approximately on the first ten days of April, June, August, October and December this year. As spring approaches more and more site users are booking the relatively few discovery days still available. April is now fully booked apart for one date for a single person, and just three of the thirteen June dates remain. August onwards is still relatively free. If you are interested in joining me for a fun and information packed discovery day please check the diary before it’s too late. In the meantime, meet September 2013 discovery day attendee Andrew Leppard. I took Andy and his cruising pal Dom out for the day on Friday. I called Dom, short for Dominic, “Don” for the first hour of the day so we weren’t off to the best start. Once Dom realised that I wasn’t rude, just deaf and stupid, we were back on track. 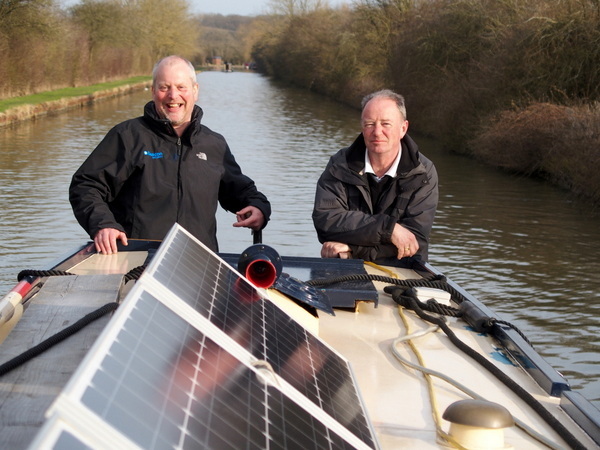 Andy and Dom are two of three males in a three couple group who often hire a narrowboat together. They wanted to home their boating skills so that they could enjoy their annual boating experience more and ensure that they weren’t a hazard to other boaters on the cut. “We enjoy boating and have a holiday booked in May and will book a further holiday in September. We wanted to improve our experience in boating. We are looking to buy a boat one day. We had a great day, learned lots and you catered for everything we asked for and more.